WASHINGTON — The Interior Department's internal watchdog said Monday it is investigating Secretary Ryan Zinke's use of charter flights. 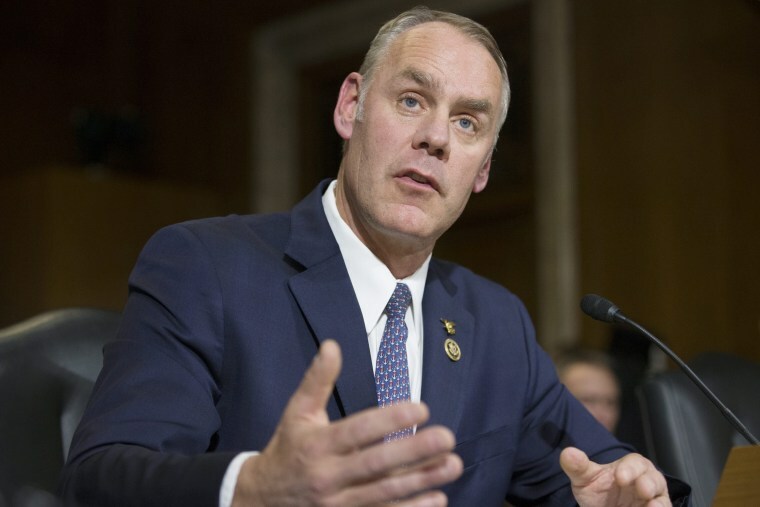 A spokeswoman for Deputy Inspector General Mary Kendall said the inspector general's office was investigating Zinke's travel. Two Democratic members of Congress requested the investigation. Zinke is one of several Cabinet members facing questions about their travel after Tom Price came under criticism for using costly chartered planes while on government business. Price resigned as health and human services secretary on Friday. Zinke said Friday that "taxpayers absolutely have the right to know official travel costs," but he dismissed criticism of his flights as "a little BS over travel." All of his travel was approved in advance by Interior's ethics officials "after extensive due diligence," Zinke said, adding that he works hard to "make sure I am above the law and I follow the law." Zinke's office did not provide the costs for his Alaska or Virgin Island trips, but it said in a statement that commercial flights were not available in either case. Reps. Raul Grijalva of Arizona and Donald McEachin of Virginia requested the investigation. Grijalva is the senior Democrat on the House Natural Resources Committee, while McEachin is top Democrat on an Oversight subcommittee on investigations. The Trump administration "tells us there's no money for Medicare, Medicaid, public education or enforcing environmental standards, but there's plenty for them taking twelve-thousand-dollar flights instead of sitting in coach," Grijalva said.